so after eating a whole pack of these energy mint things yesterday, i went on a rampage doing 6 eye sets and 3 eye makeup variations. i'm uploading most of them today in this post. 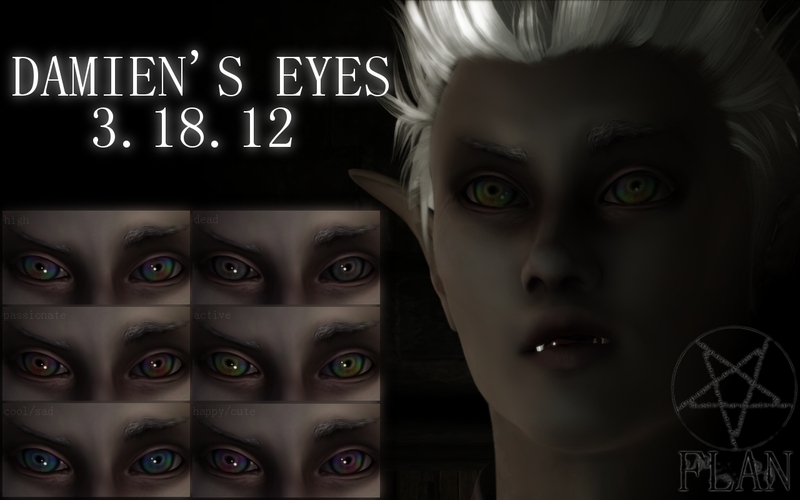 case and point, here are Damien's new eyes lol. here's the new slave eye. tell me what you think, i'm thinking i might need to reposition them. they look just a little off on the eye mesh. 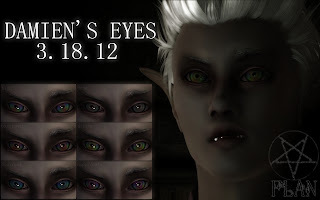 remember my old underdark eyes? 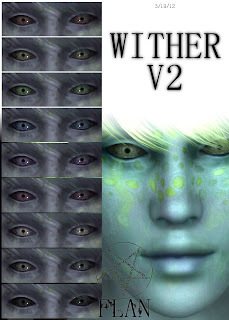 and an even older eye set, the wither eyes! i like this new version much better though. they're very much like the new underdark eyes, don't you think? lastly here's some makeup contained in a psd. beatify your eyelids! the skins you see pictured in the wither and underdark SS will be released soon. and with that, i conclude the 3.18 post. Wow! Can I borrow some of those energy mints Dustin? If they can help you make a good work like this in such a short time I definitely want some!!! This is all incredibly amazing. I'm especially curious about the race featured on the wither eye's pic. Aww, another fantastic work from you. 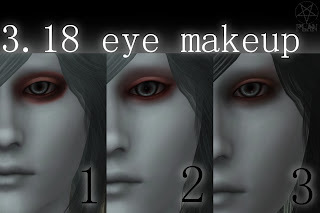 I do not know from where you get all these ideas for new races and eyes. I envy you the creativity and talent. yeah! such lovely eyes <3 my favourite is Slave eye pack ;] these are so fine on YOU, making you look euphoric and desperate. you're so beautiful. Hey the link is fixed now! Thank you. Thank you for fixing it, Max!